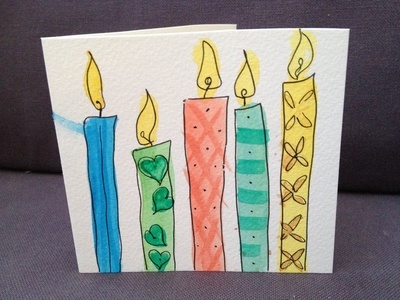 This is a simple watercolour card that can be done in a few minutes. 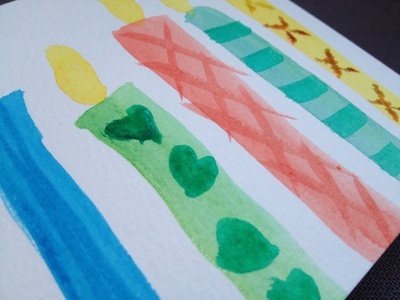 Your artistic skills don't need to be great as the wavy lines give it a unique appeal. 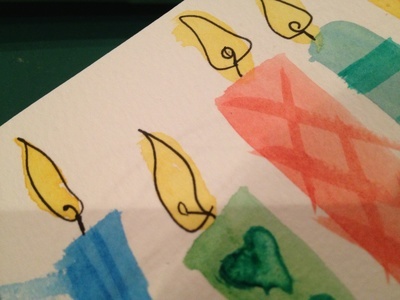 Paint vertical blocks in different colours as the base for your candles. Add a splash of yellow at the top for the flame. 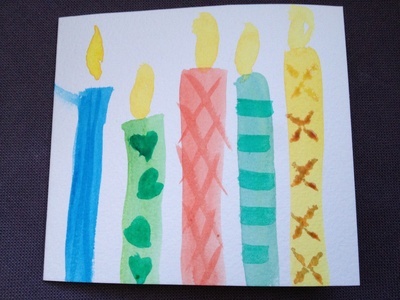 Add some contrast colour to the candles. Outline in black pen and add a few details. I think this looks great Claire. You could easily see a card like this in a gift shop. Brilliant job!